American homeowners rarely stay in their first home forever; they buy and sell several homes over the years to meet the changing needs of their family. How can you tell if it’s time to sell your current home? Do you have questions about buying a house or selling your house? It’s going to be a busy spring! If you’re thinking about buying or selling, let’s get started. 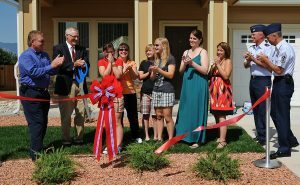 Locally in Laramie County and Cheyenne the real estate market is HOT! If your home is priced correctly, clean and marketed with a complete plan, then your home should sell quickly. The average days on market is currently just over a month. Connect with us today at 307-635-0303 or online at CheyenneHomeStore.com.